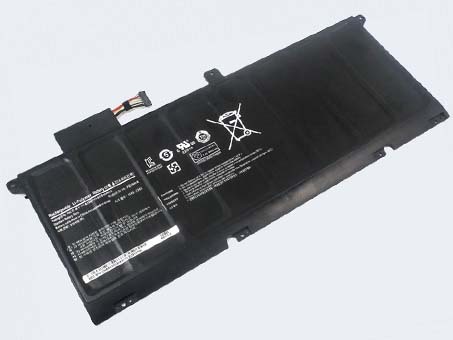 Samsung NP900X4C replacement battery for 900X4 900X4B 900X4D. Buy cheap batteries, NP900X4C battery with low price and high quality!This Li-ion Samsung NP900X4C meet or exceed the original battery specifications. 1. Charge the battery! Consider keeping it plugged in for 12 hours before you unplug. 2. Switch on the optimized battery or power feature. You'll find this option — sometimes referred to as max battery mode — in your laptop system's built-in power management control panel. You can select the option to reduce the amount of time your inactive laptop stays on before powering itself down and going to sleep. 3. Remove the battery and clean the metal contacts. Wipe them with alcohol, ideally every two months, to ensure that the power transfer between the laptop and its battery is as efficient as possible. Allow the battery to dry thoroughly before replacing it! 4. Unplug any laptop accessories you aren't using. Even if they're not in use, accessories drain power from the battery.